The Drop Press Up is an awesome way to teach your nervous system how to exert maximum force. They also look damn cool. 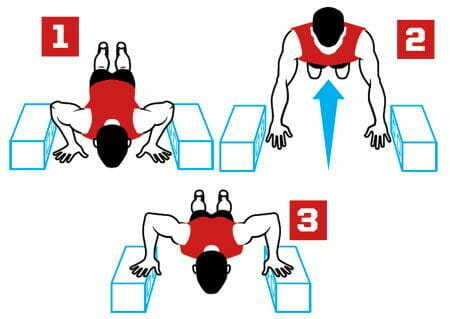 By dropping from the box onto the floor, you minimize contact time with the ground, forcing your muscles and central nervous system to react quickly, and exert a high amount of force in a very short space of time. 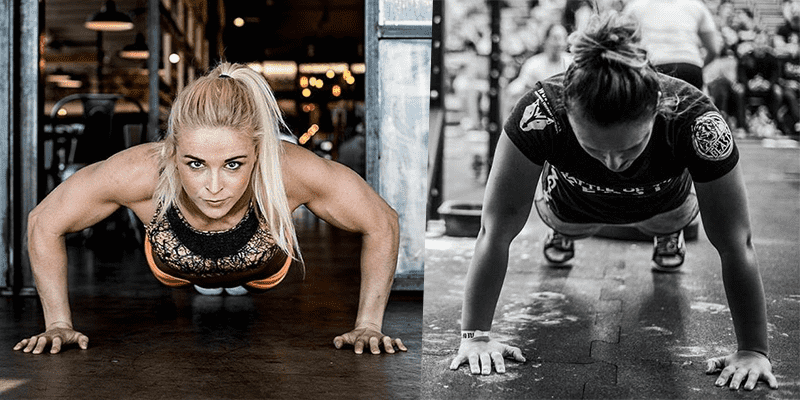 Just like powerlifters perform dynamic effort versions of squats, deadlifts, and bench presses to increase their speed, power, and ultimately strength on the big three, drop Press Ups work in a similar way. They also act as an excellent activation exercise. Perform a set of three to five drop PushUps before a heavy set of bench presses. These get your nervous system primed and your chest muscles firing, meaning you can Bench Press more. As with all plyometric exercises, your focus should be on quality, not quantity, so keep the sets short, and stop the exercise when you feel you’re not moving as quickly.